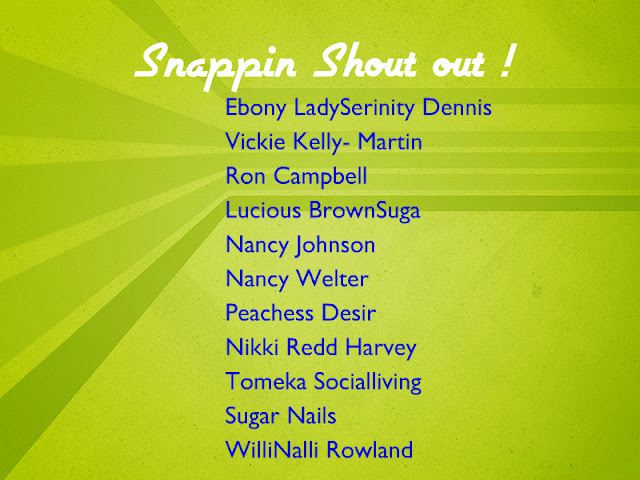 DIVASNAP.COM: THE SHOUT OUT MOVEMENT!! What's up Divas & Snappers? We know that we have been running our post a little slow, but that ok, we getting it right thanks to YOU showing us some luv and support this past week. 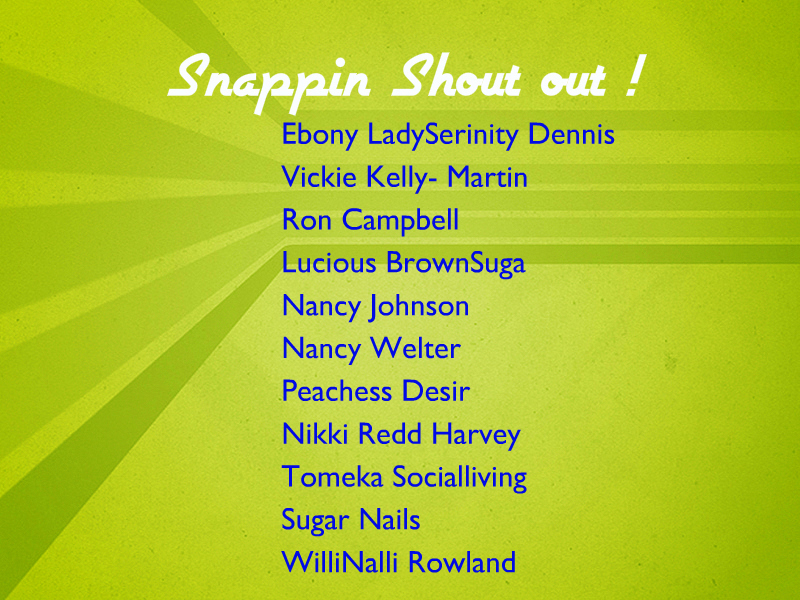 We appreciate YOU for Snappin with us! A BIG *Diva Snap* TO YOU!!! A SPECIAL THANK YOU TO OUR Facebook Fans. We are thankful to you for joining our page and interacting back with us by liking and commenting on our status! Most important Thanks for Visiting Diva Snap Blog Site! Feel like Snappin go ahead and share our site, post! (This snap is particular for Facebook Supporter) other sites follower will be subject to their shout out on that site.